NASA's Cassini spacecraft captured these raw, unprocessed images of Saturn's moons Methone and Tethys on May 20, 2012. With a close-approach distance of about 1,200 miles (1,900 kilometers), this was Cassini's closest flyby of the 2-mile-wide (3-kilometer-wide) Methone. 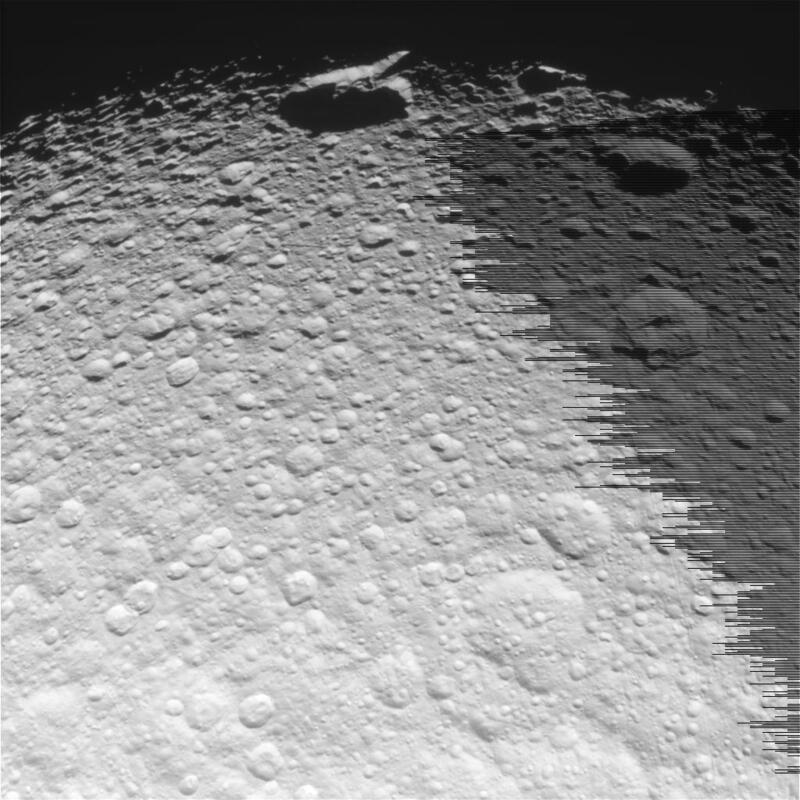 Earlier on May 20, Cassini flew by the larger moon Tethys at a distance of about 34,000 miles (54,000 kilometers), and several images from that encounter are included here. 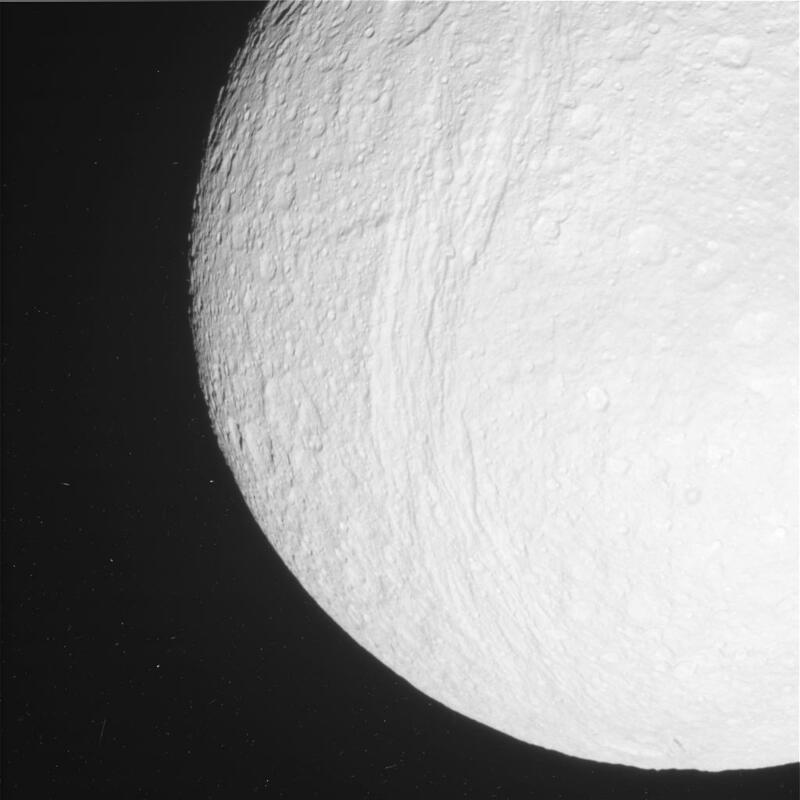 Tethys is 660 miles, or 1,062 kilometers, across. Between 2004 and 2007, Cassini discovered Methone and two other small moons, Pallene and Anthe, between the orbits of Mimas and Enceladus. The three tiny moons, called the Alkyonides group, are embedded in Saturn's E ring and their surfaces are sprayed by ice particles originating from the jets of water ice, water vapor and organic compounds emanating from the south polar area of the moon Enceladus. 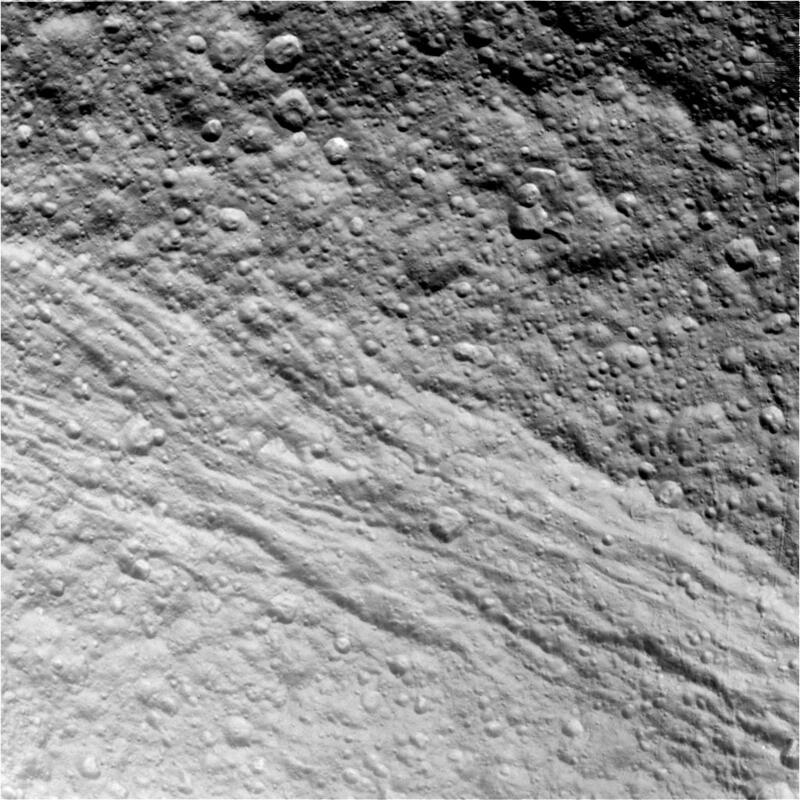 The best previous Cassini images of Methone were taken on June 8, 2005, at a distance of about 140,000 miles (225,000 kilometers) and barely resolved this object. 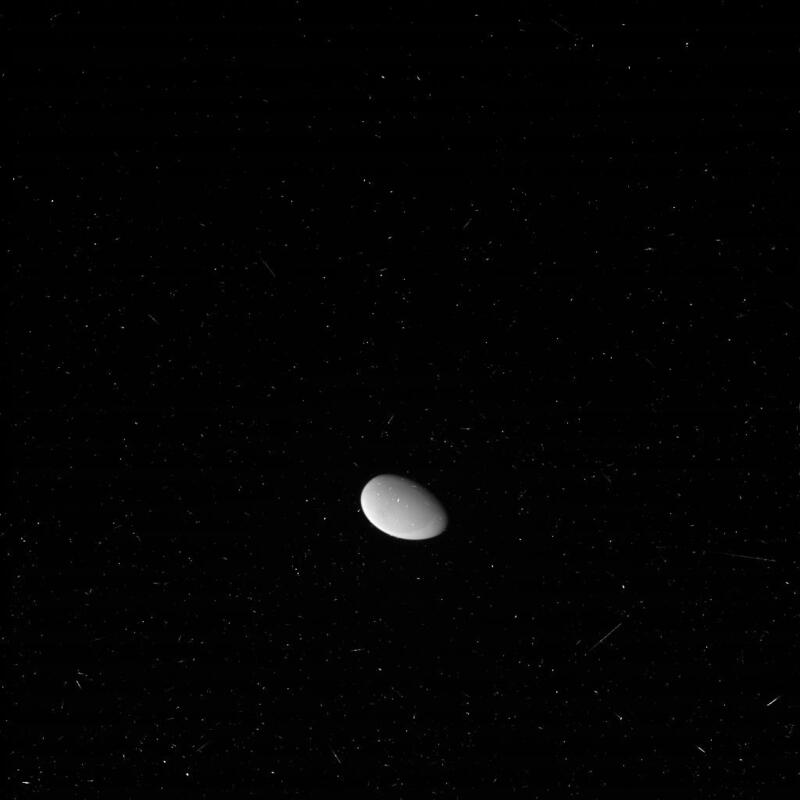 May 21, 2012: Methone 'Rev 166' Raw Preview #1 - This raw, unprocessed image of Methone was taken on May 20, 2012 and received on Earth May 21, 2012. 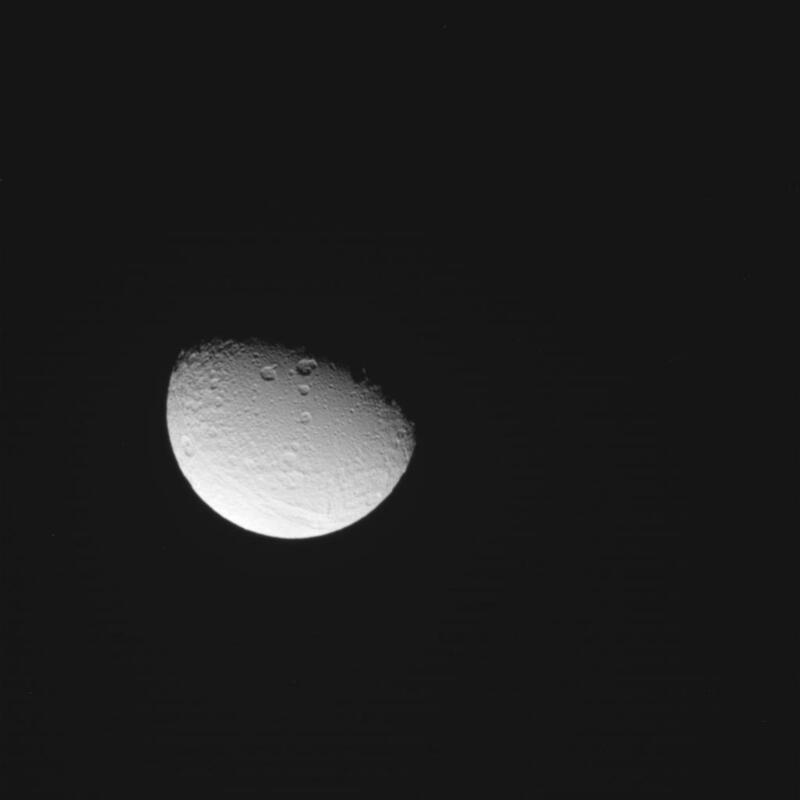 May 21, 2012: Methone 'Rev 166' Raw Preview #2 - This raw, unprocessed image of Methone was taken on May 20, 2012 and received on Earth May 21, 2012. May 21, 2012: Tethys 'Rev 166' Raw Preview #1 - This raw, unprocessed image of Tethys was taken on May 20, 2012 and received on Earth May 21, 2012. May 21, 2012: Tethys 'Rev 166' Raw Preview #2 - This raw, unprocessed image of Tethys was taken on May 20, 2012 and received on Earth May 21, 2012. May 21, 2012: Tethys 'Rev 166' Raw Preview #3 - This raw, unprocessed image of Tethys was taken on May 20, 2012 and received on Earth May 21, 2012. May 21, 2012: Tethys 'Rev 166' Raw Preview #4 - This raw, unprocessed image of Tethys was taken on May 20, 2012 and received on Earth May 21, 2012.